An important aspect of the Charles E. Kubly Foundation's mission is to help people access resources in their community. The following national organizations can help you access services and/or important mental health information. See below for other national organizations and state and local resources in Wisconsin. Although many resources exist, individuals suffering from depression and their families are often confused about to how and where to find help. These resources include information about depression, mood disorders, hospital and clinic services where professionals provide evaluation and treatment, support groups and hotlines. The following is a list of national organizations that provide services and/or information related to depression and suicide prevention. * This is not a comprehensive list, but rather a list of organizations which the Charles E. Kubly Foundation is familiar. AACAP is a professional medical association dedicated to treatment and improving the quality of life for children, adolescents and families experiencing psychiatric disorders. Their website is designed for parents and families as well as providers and offers useful fact sheets. Active Minds is the nation's only nonprofit organization dedicated to utilizing the student voice to change the conversation about mental health on college campuses. Active Minds empowers young leaders on over 200 campuses across the country to educate, support, and advocate on behalf of their peers. Together, we work to dispel the stigma that surrounds mental illness and ensure that future generations of young people will have access to the mental health services they need. The American Association of Suicidology is an education and resource organization. They promote research, public awareness programs, and public education and training for professionals and volunteers. The APA is a scientific and professional organization for psychologists. For the general public, please see their Help Center section. The mission of the Amery Area Community Center is to provide a welcoming place to the community for interaction of various generations through programs, services, meals, and social gatherings. Their goal is to be flexible in serving the ever changing needs of the Amery Area citizenry, so as to enhance the lives of their members and friends. With an emphasis on social and emotional wellbeing, they offer support groups and services to address areas necessary to help people stay emotionally healthy and live independently. With help from the Charles E. Kubly Foundation, they are pleased to now offer a new program that helps recognize depression and suicidal thoughts, and how to properly intervene in such a case. For more information, visit their website. The American Psychiatric Association is a medical specialty society for physicians treating mental disorders. They have a new website for consumers www.healthyminds.org which offers information on common mental health concerns including warning signs of mental disorders, traetment options and prevention measures. Aurora Behavioral Health Services is a fully integrated system of outpatient and inpatient behavioral health programs and services. They also provide specialized programming for many behavioral health issues including eating disorders, substance abuse, obsessive-compulsive disorder and child and adolescent issues. CABF, the Child and Adolescent Bipolar Foundation is a nonprofit organization that offers a web-based support and education program at www.bpkids.org. Programs include moderated message boards and online support groups, an online state by state directory of resources, a family response team, Ask the Expert monthly online chats and a website replete with articles and research. The Center for Suicide Awareness is a nonprofit organization in the Fox Valley that provides support groups for people who have been affected by suicide. (Please see website for a listing of specific groups and meeting times and locations). The Center additionally offers suicide prevention training for teachers and educators and hosts an annual walk each September to raise awareness. Grief counseling is available through a partnership with the University of Wisconsin -- Oshkosh. As a member of Children's Hospital and Health System, Children's Health Education Center (CHEC) is a dynamic community resource that works to motivate and teach children, as well as adults who care for children, to lead healthy and safe lives. CHEC's primary service is the delivery of interactive prevention programs to school-aged children in multi-media, participatory settings. All field trip, outreach and online programs combine cutting-edge technology, engaging models and hands-on learning for a dynamic, group-based experience. For more information, please contact Children's Health Education Center at 414-765-9355 or visit us at www.bluekids.org. Christian Family Counseling provides outpatient mental health services for individuals, couples, and families. With clinic locations in Wisconsin, Minnesota, and Michigan, our professional staff consists of Psychologists, Professional Counselors, Clinical Social Workers, and Marriage and Family Therapists who provide services to both children and adults. In addition to our certified outpatient treatment clinics, through our Student Assistance Program, we provide counseling services on site at school locations in Milwaukee as well as educational services, support groups, and crisis counseling services. At Christian Family Counseling, we integrate Christian truths with evidence --based practices of psychological health to assist all people as they address their challenges in life. For appointment or more information, call 888-685-9522 or visit their website. COA Youth & Family Centers helps 16,000 Milwaukee children, teens, and families annually reach their greatest potential through a continuum of education, recreational, and social work programs offered at its two urban community centers, rural camp facility, and at 17 Milwaukee Public Schools. Founded in 1906, COA's organizational philosophy is rooted in the American Settlement House movement, with programmatic approaches that are asset-based, participant-led, and family-centered. Through programming in five core areas (Early Childhood Education, Family Support Services, Youth Development, Camping, and Community Services), COA helps family members increase their achievement levels and grow into self-sufficiency to led healthier, more successful, better connected lives. For more information, call 414-263-8383 or visit the website. COPE Services is the 24-hour Ozaukee County Hotline, providing emotional support, crisis intervention and information and referral services to Ozaukee County and the Greater Milwaukee area. COPE offers 3 hotline services: Regular Adult Line, Senior Support Line, and Teen/Home Alone Line. Call COPE at (262) 377-COPE (2673), (262) 377-7786 (Seniors and Teens). The Crisis Resource Center is a recovery-oriented environment in which individuals who are experiencing a psychiatric crisis can receive assistance. The center is staffed with seasoned professionals, including Peer Support Specialists, who are able to provide assessment, referral, coordination and support to achieve short-term stabilization. Individuals served by the Crisis Resource Center must be 18 years of age or older, voluntary, and a Milwaukee County resident. DSBA is a nonprofit organization that offers information on depression and bipolar disorder and a toll free information line. Their website provides free screenings and listings to over 1000 support groups across the country. Diverse and Resilient is Wisconsin's largest lesbian, gay, bisexual and transgender (LGBT) non-profit organization, providing disease prevention and health promotion activities to eliminate health disparities that exist for this vulnerable population. Diverse and Resilient does not provide clinical services, but works with clinicians to address their competence to work effectively with LGBT youth and adults. In addition to their work on alcohol abuse prevention and tobacco use cessation, agency staff engage LGBT people in HIV prevention, mental health promotion, suicide prevention, and relationship safety programming. Diverse and Resilient's highly visible Acceptance Journeys project includes training and dissemination of the QPR (Question, Persuade, and Refer) approach to suicide prevention. Dryhootch is a Milwaukee based nonprofit organization dedicated to helping the veteran and their family who survived the war, survive the peace. Dryhootch offers a variety of services for veterans including help locating resources such as housing and legal counsel, and provides assistance with navigating military benefits. Additionally, Dryhootch provides peer mentoring and peer led support groups and operates coffee houses in both Milwaukee and Madison for companionship and support. Along with other nonprofit organizations in Milwaukee, Dryhootch hosts Warrior Summits to address the mental health needs of veterans and their families. They provide educational presentations in the community for nonprofit organizations who serve veterans and host a resource directory for veterans. For more information, call (414)416-7651 and visit the website. Express Yourself Milwaukee is a 501c3 nonprofit organization that celebrates the power of creative arts to transform the lives of underserved urban youth in our community. EYM uses therapeutic multi-disciplinary arts programming as an intervention tool to reverse negative patterns in youth's lives and create alternatives leading to healthy futures, increasing access to protective factors, personal and social resources that promote resiliency. Through weekly group and 1-on-1 sessions, our targeted youth, who have limited support for the benefits of psychotherapeutic/art therapy resources, are immersed into the world of music, dance and visual arts, empowering these youth with life changing results, while celebrating cultural diversity and collaboration. For more information, call (414) 272-3498. The Face It Foundation is a nonprofit organization focused on the needs of men with depression. Through the use of education, peer-support, and online tools, Face It is committed to helping men better understand depression and support them in their efforts to overcome their depression. The Jed Foundation was established in order to reduce the suicide rate on college campuses. The nonprofit organization offers information about depression and suicide and designs effective programs for colleges so that they might better help college students. Their website helps students directly by linking them directly to their college health center. The Karla Smith Foundation (KSF) provides hope for a balanced life to family and friends of anyone with a mental illness or who lost a loved one to suicide. In 2013 KSF brought their family support programming to the metro Milwaukee area. FRESH (Family Resources, Education, Strategies and Hope) is a support group for those caring for a child or teen with, or at risk for, a mental illness. It is an opportunity for parents and caregivers to connect with others to share experiences, struggles and joys; learn strategies for caring for the child, the family and oneself. Support group members will also gain information and resources through specific and timely topics covered at each meeting. The Kristin Brooks Hope Center is dedicated to suicide prevention and intervention: by providing a single point of entry such as 1-800-SUICIDE to community-based crisis services through innovative telephony and internet based technologies. To locate the crisis center in your community go to their web site which has the Referral, Information and Evaluation System along with the only web based suicide risk assessment tool. The Melissa Institute for Violence Prevention and Treatment is a nonprofit organization dedicated to the study and prevention of violence through education, community service, research and consultation. Their website offers articles and information on current research. Men Get Depression National Educational Outreach Campaign is an effort to increase knowledge, reduce stigma, and promote screening and treatment for depression and educate the public about depression and suicide risk. Their website offers a free 24 page downloadable booklet and clips from their DVD. Copies of the DVD are available at all Wisconsin public libraries and are available for purchase from the website. Men Get Depression National Educational Outreach Campaign is an effort to increase knowledge, reduce stigma, and promote screening and treatment for depression and educate the public about depression and suicide risk. Their website offers a free 24 page downloadable booklet and clips from their DVD. Copies of the DVD are available for purchase from the website. A statewide organization that believes good mental health is fundamental to the health and well-being of every person and wants all people to understand how to protect and improve their mental health. MHA does this in three ways: 1) providing education and information services through presentations and trainings, an online therapist and support group directory, suicide prevention education and other area resources that can be found online; 2) offering in-home visitation, parenting assistance, education classes and community referral services for families with mental health concerns and 3) public policy and systems level advocacy through involvement with other state and local organizations. The Mental Health Association in Milwaukee County helps raise awareness of mental health issues and disorders through advocacy, education and service programs. (414) 276-3122. A nonprofit organization that works to promote mental health, educate about mental illness and reduce associated stigma. Mental Health America is a nonprofit organization that addresses all aspects of mental health and mental illness. MHA helps individuals through advocacy, education, research and services. Their website offers information about mental illness, free publication downloads and help finding local support groups and treatment resources. NAMI Wisconsin, the state's voice on mental illness, empowers people living with severe mental health issues, their families and those who care about them through education, support and advocacy. NAMI Wisconsin provides advocacy to individuals and family members and advocates at the state level to improve mental health funding and policies. Support programs such as Family Support Group and Connection Support Group are offered in thirty-five counties throughout the state for family members and individuals living with mental illnesses. NAMI Wisconsin also provides educational programs such as Family to Family, Peer to Peer and In Our Own Voice that work to break down the stigma associated with mental illness. Visit www.namiwisconsin.org to find information about mental health services in your community and to learn more about NAMI Wisconsin programs, resources and advocacy efforts. Or call (608) 268-6000. NAMI is a non-profit self-help, support and advocacy organization for people affected by severe mental illnesses and those close to them. NAMI strives to achieve equitable services and treatment for Americans living with mental illness. Their website offers information about mental illnesses, medication and research, education and training, an information helpline and ways you can help combat mental illness. NARSAD is a not-for-profit, public charity organized for the purpose of raising funds for scientific research into the causes, treatment and prevention of severe psychiatric brain disorders, such as schizophrenia and depression. NARSAD's website offers information on current research. As part of the National Institutes of Health, NIMH works to improve mental health through biomedical research on mind, brain and behavior. The NIMH website provides information from the Federal government's research on mental illness. See information on depression and mood disorders and free publication downloads. NOPCAS is a nonprofit organization formed to stop the high rate of suicide in minority communities. See their website for information about research on minority suicide and strategies for prevention. PSW is a voluntary public- private coalition that serves as Wisconsin's statewide suicide prevention coalition. The mission of PSW is to reduce the number of suicides that take place in our state each year. To accomplish this, we will increase public awareness of suicide and mental illness, the warnings signs of those who might be in crisis, and methods for suicide prevention through education, information and collaboration with all who are affected by suicide and mental illness -- which is our entire state. 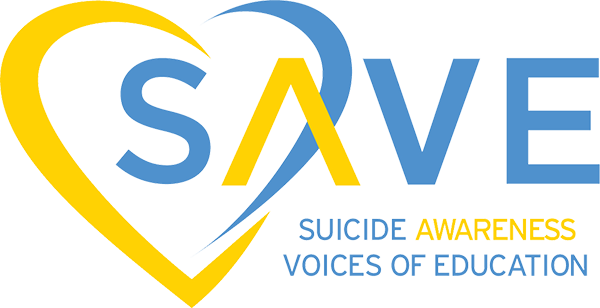 PSW provides a website of statewide and national suicide prevention resources (www.preventsuicidewi.org), bimonthly educational teleconferences, a yearly statewide suicide prevention conference, suicide prevention resources and training and consultation to local coalitions and other organizations. The magazine Psychology Today's website provides interesting information on mental health and provides a searchable database that people can use to find a therapist in their area. A community action group consisting of parents, community members, schools, interfaith congregations, mental health professionals and university employees in Milwaukee's Northshore. We are committed to working together across systems to promote balance and resiliency in the lives of our youth and families. We hope to develop a new generation of resilient youth with a healthy understanding of what success means. REDgen hosts events such as speaker series, educational forums and book clubs for parents, and youth retreats. Please see the website for more information. Rogers InHealth (RIH) works to eliminate stigma through self-empowerment and illuminating recovery. RIH staff film interviews of people living with mental illness about their experiences of recovery and strategic disclosure. The brief and powerful videos are distributed through RogersInHealth.org and partner websites and on social media- free access to all. RIH Directors provide leadership to WISE (WI Initiative for Stigma Elimination), a statewide collaboration of organizations and individuals seeking to reduce the stigma of mental illness by promoting the use of evidence based practices and outcome evaluation for programs that seek to reduce stigma. SPAN USA is dedicated to preventing suicide through public education and awareness, community engagement, and federal, state, and local grassroots advocacy. By empowering those who have been touched by suicide, SPAN USA seeks to advance the implementation of the National Strategy for Suicide Prevention. 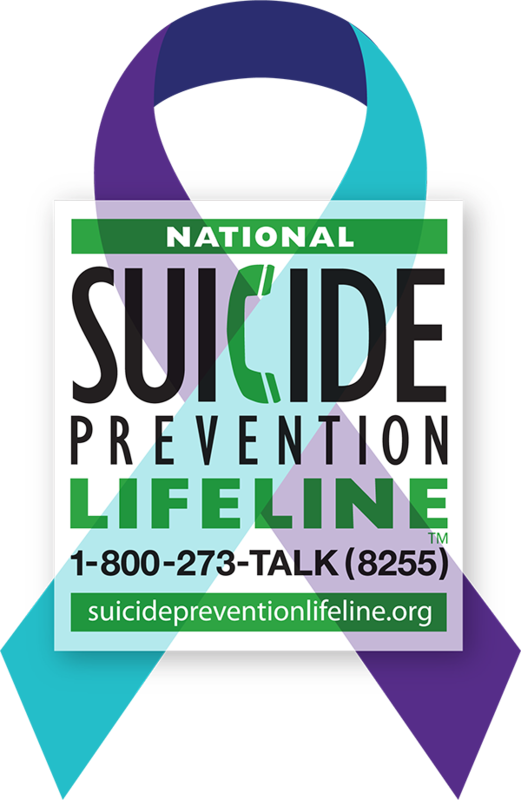 The Suicide Prevention Resource Center provides prevention support, training and informational materials to strengthen suicide prevention and advance the National Strategy for Suicide Prevention. The University of Michigan Depression Center is the first ever multi-disciplinary center dedicated to research, education, and treatment of depressive and bipolar illnesses. We bring together the world-class resources from the U-M Health System and almost all theU-M Schools and Colleges. The result is a unified approach to diagnosing, understanding, treating—and eventually preventing—depression. At the same time, we are focused on improved education, multiple efforts to counteract any remaining stigma, and outreach and public policy initiatives designed to transform the public's understanding of depression and bipolar disorders. WebMD is a health information website offering information on a variety of health topics, newsletters and a directory of physicians in the United States. Christian Family Counseling, a division of Wisconsin Lutheran Child & Family Service, Inc., provides outpatient counseling services in Wisconsin, Michigan, and Minnesota. We offer individual, group, family, and couples/marital counseling. The Christian Family Counseling staff consists of licensed therapists (counselors, social workers, and psychologists) with extensive post-graduate training. Our staff integrates Christian truths with evidence-based practices of psychological treatment. We accept most major insurance plans and provide private pay options based on an ability to pay. For more information on the services available or to schedule an appointment, please call 888-685-9522 or visit our web site. The Wisconsin Women's Health Foundation (WWHF) is a statewide non-profit organization whose mission is to help Wisconsin women and their families reach their healthiest potential. WWHF provides programs and conducts educational forums that focus on prevention, early detection and connecting individuals to resources; produces and distributes the most up-to-date educational and resource materials; and, awards grants and scholarships to women health researchers and related community non-profits. To learn more, visit the website. A statewide coalition of over 40 organizations and individuals, working to reduce stigma and promote inclusion through the advancement of best practices and support of storytelling-for-change. WISE offers consultation to local groups in their stigma reduction efforts to support those affected by mental illness, and offers training on strategic disclosure for people living with mental health challenges. Contact www.endstigmatogether.org for more information. A key corporation of Rogers Behavioral Health System, Rogers InHealth creates and distributes stories of recovery to increase understanding, hope and supportive action by people with mental illness and addiction, their friends and family, professionals and the general public. Rogers InHealth advances effective stigma reduction practices supported by evidence-based research and evaluation, and provides collaborative leadership in the quest to eliminate the stereotypes, prejudice and discrimination that make up the stigma of mental health. View video stories or contact InHealth at our website. The World Federation for Mental Health (WFMH) is an international membership organization founded in 1948 to advance, among all peoples and nations, the prevention of mental and emotional disorders, the proper treatment and care of those with such disorders, and the promotion of mental health. The Federation, through its members and contacts in more than 100 countries on six continents, has responded to international mental health crises through its role as the only worldwide grassroots advocacy and public education organization in the mental health field. WFMH's Mission is to promote the advancement of mental health awareness, prevention, advocacy, and best practice recovery focused interventions worldwide. For more information, contact the WFMH at 703-494-6515. Yellow Ribbon International offers a suicide prevention program that can be implemented in your community. Their website offers information about the program and how to access it. Zero Suicide is a commitment to suicide prevention in health and behavioral healthcare systems and is also a specific set of strategies and tools. Their website offers detailed information about the program.